Yesterday I was quite brave! 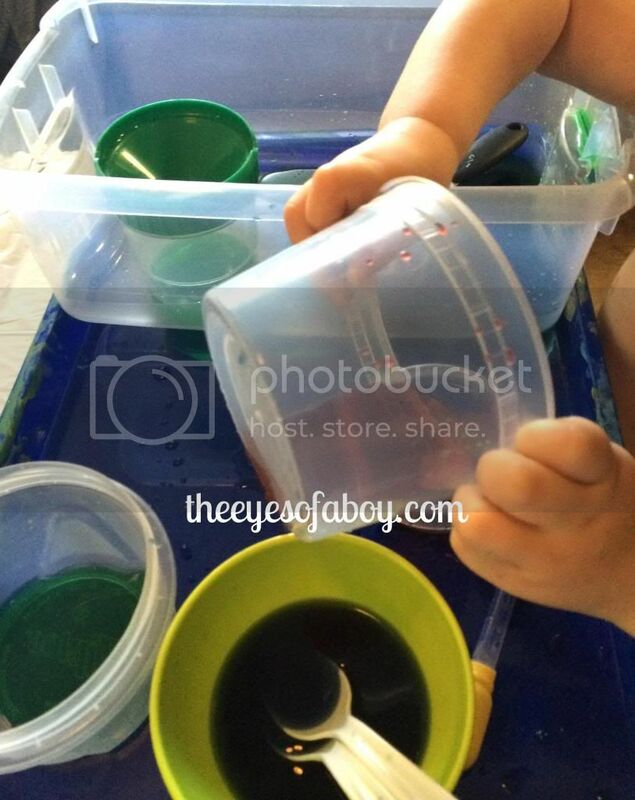 I set up an easy water sensory table station on our KidKraft Star Table complete with many different color waters, in various sizes and shapes of containers. 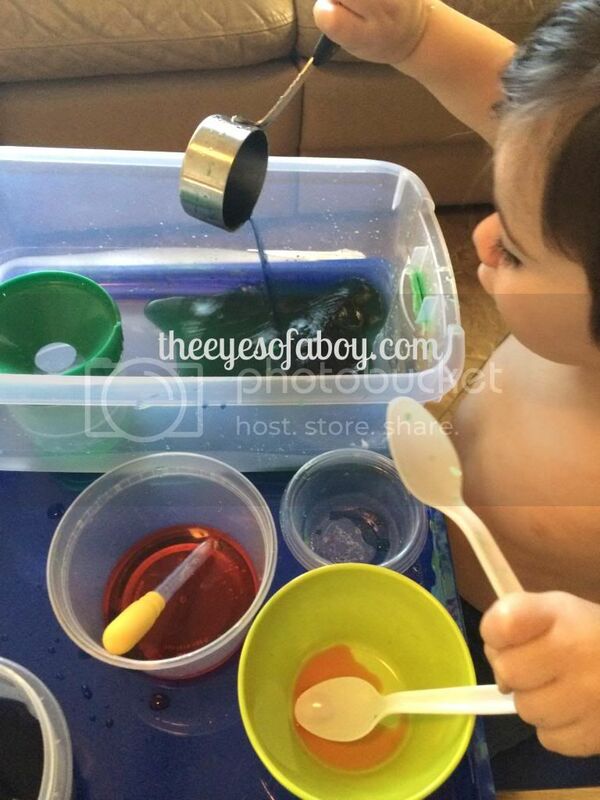 On the side there were spoons, droppers, and scoops to play with and explore the water with, too. Little J, almost 19 months old, has been very curious about water lately, specifically pouring it and transferring it from container-to-container. He doesn’t want the lids on his sippy cups anymore, either. So, as soon as Little J saw the set up, he was super excited and eager to get to the table. He took a seat in his little chair and didn’t waste any time! He got right into the green colored water. 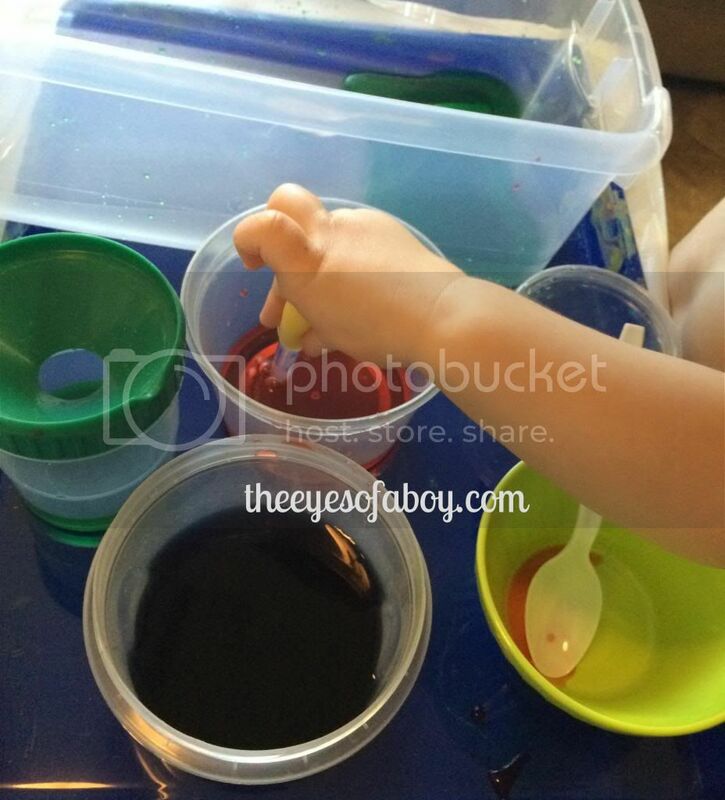 It was in a spill-proof paint container from our Melissa & Doug Easel Set. The container made it was very easy for him to pour and watch the green colored watch come out into the clear container below. 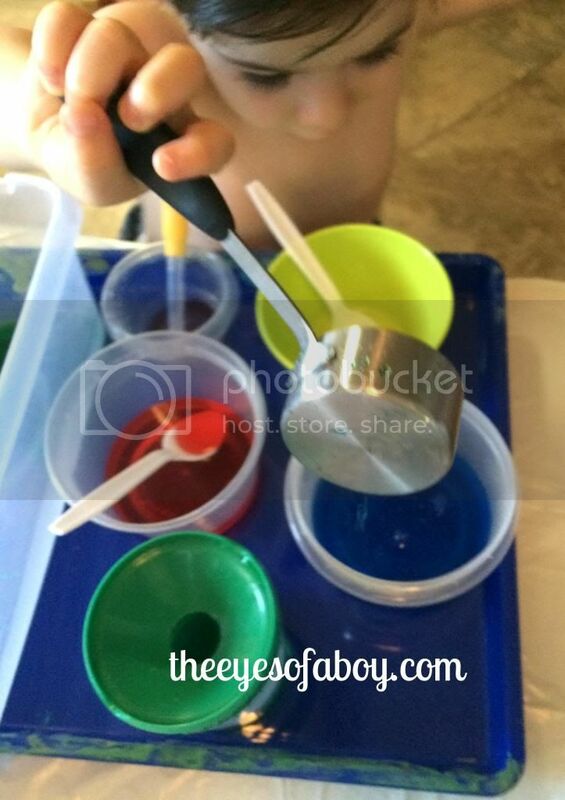 Next, he wanted to scoop some of the other colors. He really enjoyed the scoop, too! Overall, this was an awesome activity!! Easy to set up, and surprisingly easy to clean up, since I lined the table with a garbage bag before we started. He didn’t even spill much on the floor, which I was pretty happy about! We will definitely be doing this again soon. It would be great for a day indoors or outdoors, too. 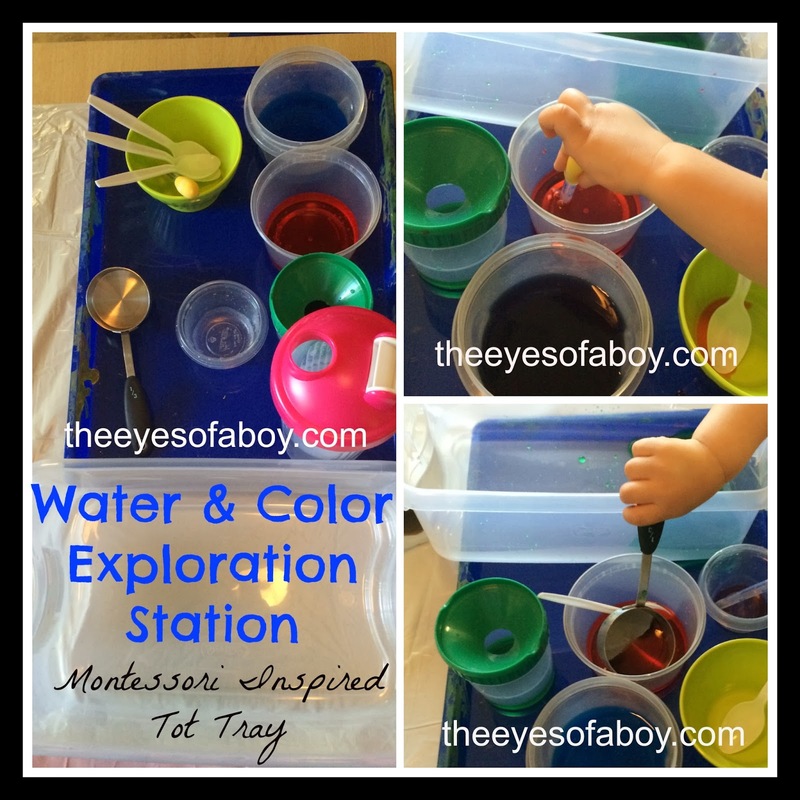 Either way, your little one will love to play with the water and watch all of the different colored waters mix in the containers. 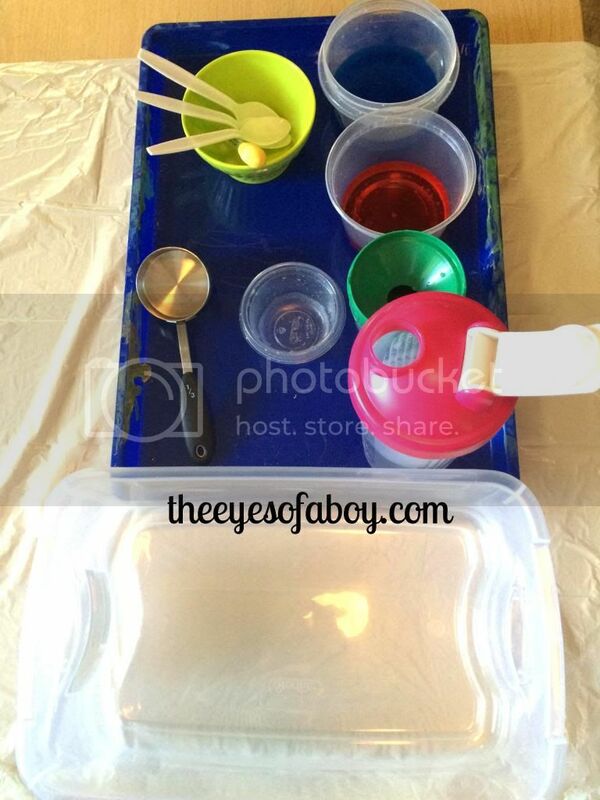 Love this idea….I always like the Montessori curriculum…just wish the schools weren&#39;t so expensive!